The Eight Bells public house, facing Hawkhurst Moor, has, predictably, a sign with eight bells painted on it, but also the year 1847 on a white cross. This is to tell us that two bells were added that year to the existing six bells in the tower of the nearby parish church, dedicated to St Laurence. It was therefore interesting to discover, in the early 18th century licensing records, that Robert Springate (also spelt Springett) was licensed at the Five Bells during the 1720s. There are also several entries in the churchwardens’ accounts around this period for payments being made to him for beer, either for the ringers on special ringing days, or for workmen engaged in various tasks in the church, such as glazing or other maintenance work. A search of the Vestry minutes, where major decisions made by parishioners were recorded, reveals that the tenor bell, the heaviest, and therefore the lowest in the musical scale, cracked in 1734. Robert Springate was paid five shillings, the usual rate, for drinks for the ringers after the customary ringing on 29 May for the anniversary of Charles II’s restoration to the monarchy. Had this prolonged ringing session done the damage, or was it while ringing the faithful to church on a subsequent Sunday? Whichever was the fateful day, the event caused much debate as to what action to take. Should only this bell be recast, or should the opportunity be taken to recast all five bells into a ring of six? This would have given a more harmonious set; bells cast at different times over several centuries have different sonorities. Moreover, the change from five to six bells would enable more advanced change ringing, which was becoming popular in rural parish churches at this time. This ‘upgrade’ must have been under consideration for some years, because in 1723 the bell frame was rebuilt to accommodate six bells. There is no record as to why this action was necessary; perhaps there were worrying signs of wear and tear. However, contracts were drawn up to ‘make a new Bell Frame for six bells, to new cast the Brasses, lay and turn the Gudgeons, to make Five new Wheeles & Stocks and to find all Iron work and other materials’. So, when the tenor bell cracked in 1734, it was a good reason for renewing the debate. Correspondence was then entered into with Richard Phelps at the Whitechapel bell foundry to obtain quotes for the options under consideration. Thomas Glover, the minister at the time, wrote to him on 12 June 1734, and the reply from Phelps was copied into the Vestry Minutes. 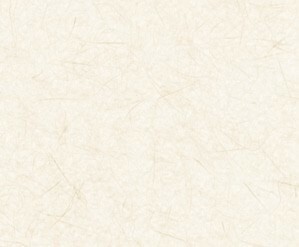 It is worth noting that his reply was dated the next day!! To new Cast yor Bell or Bells without any allowance for waste of Metall in Melting at Twenty Four Shillings per C weight containing 112 Pounds, if any Metall added 13pence per pound. If the New Bell be lighter than the old One I will allow 10d for every pound wanting of the old or return it with the new Bell to dispose of as you please. If a new Treble Bell be made to your Five it will take 7C:2q:00Li of Metall and will be made at 13pence per pound and the Clapper at 9d per pound and will weigh about 221Li, a payer of new Brasses for the new Bell will cost 12d per pound and will weigh 9 or 10 pounds Averdupois weight the Total cost £46:16s:6d little more or less. NB: I am humbly of opinion that your broken Tenor will not exceed 25C:0q:00Li and if you cast all yor old Bells of their Weight into Six New Bells the Charge will very little exceed what the casting your broken Tenor and a New Bell will amount unto. Henry Courthope of Netters Hall was responsible for writing out, in a beautiful, clear script, the accounts for both the churchwardens and overseers for many years, and in 1732 gave ‘two silver plates… for the use of the church’. The churchwardens wanted an independent assessment of the weight of the cracked tenor bell and it was their responsibility to organise the practicalities of doing this and transporting the bell to London. The churchwardens for 1734-5 were James Tester and Thomas Marten, and they arranged for it to be taken up to Battlebridge, an area around what is now King’s Cross, where there were facilities for weighing such large items. They paid £1 12s 7d to ‘Will Dunck for carrying the crack’d Tenor Bell and Clapper from Hawkeherst to Maidstone’ on 1 July 1734. Carriage from Maidstone to London was by Mr Morgan Hall, probably a Maidstone carrier with better knowledge of the capital and its outskirts. William Dunk must have continued as a passenger on the second leg of the journey because he paid for the weighing of the bell at ‘Battell Bridg’ and was reimbursed the cost of 7s 6d by the churchwardens on 22 July. The ringers now had to learn some new skills with their ring of six bells; there were usually four occasions in the year when they would ring for some hours, such as celebrating the current monarch’s birthday or Fifth November. It was standard practice in most parishes for the churchwardens to reward them for their efforts, so in their accounts next year one of the disbursements was ‘To Robt Springett for Beer for the Ringers May 29 & Nov 5 & Dec 25 in all 15s’. The standard payment of five shillings for each special ringing day was not increased and, as there were now six ringers required, they either drank less or had to make up the difference from their own pockets. The churchwardens’ accounts also include a payment of £13 14s 08d on 15 November 1735, ‘to mr Phelps the Remainder of the Money for casting the Tenor Bell’. Sadly this bell has not survived and was replaced or recast in 1824. 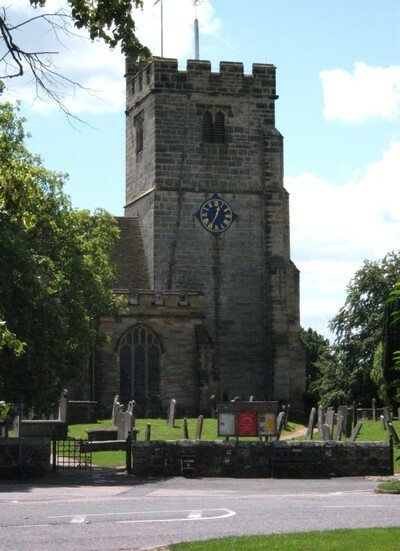 However, the treble is still in the church tower, bearing the inscription ‘RICHARD PHELPS MADE ME 1734’, together with the names of the churchwardens and the minister. 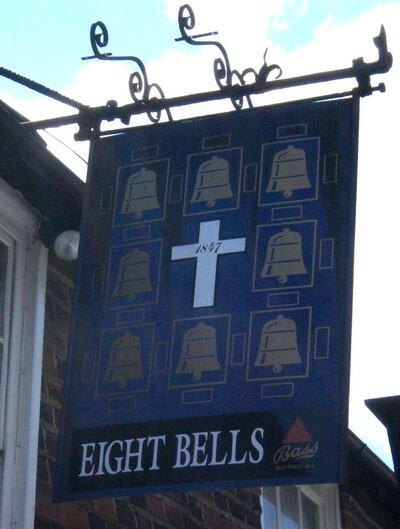 One would have expected that, when the ring of bells was increased to six, the pub name would change soon after. However, Robert Springate continued to be licensed at the Five Bells until his death in 1737, followed by his widow, Katherine, for a few more years. It was not until 1749 that the next landlord, Thomas Chapman, changed the pub name, fifteen years after the six bells had first rung out from St Laurence’s church tower. 4) Alehouse Recognizances, Q/RLv1 and Q/RLv4. My thanks to Stephen Piper for showing me the bells in St Laurence.